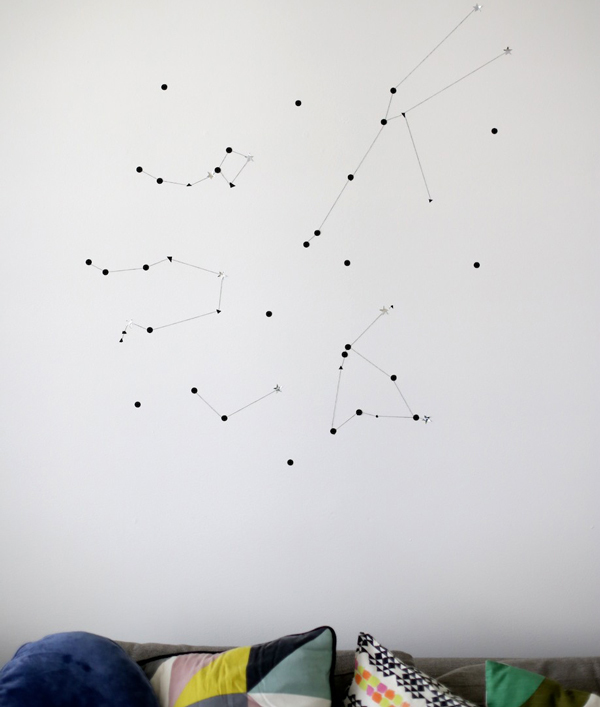 But first, this simple sticker star wall constellation is such an easy backdrop to make for a star gazing party. It looks equally as awesome being left up above the work desk afterwards. Wouldn’t be the best idea for the wall over a sweet new baby crib!?! 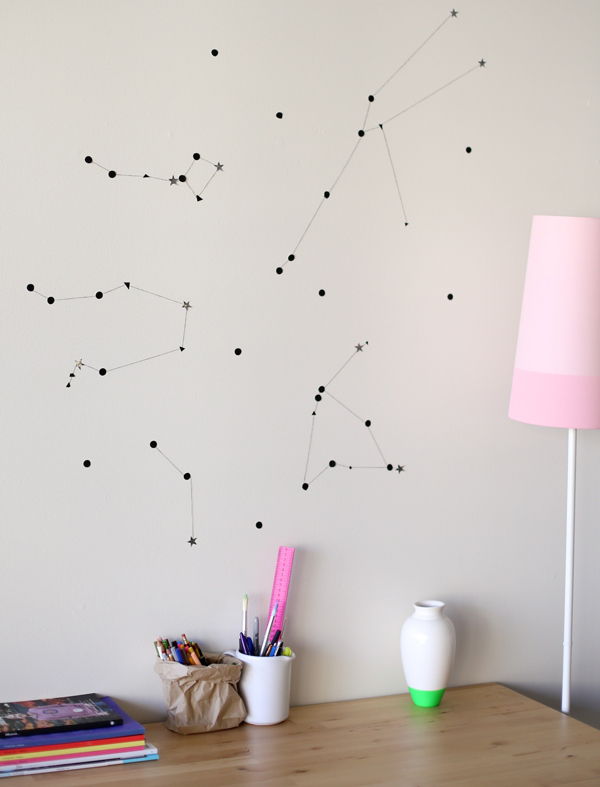 The sticker star constellation wall art is so simple to make. 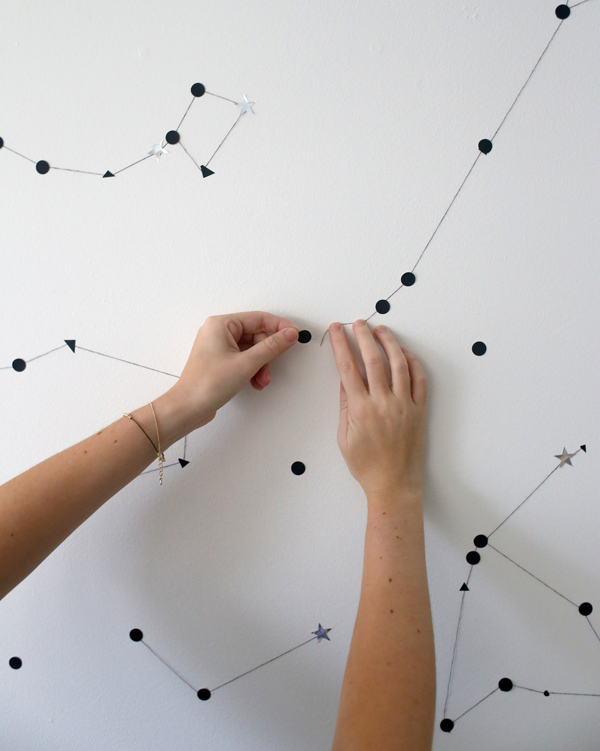 Start by marking out the shape of your constellations using small pieces of tape or stickers to represent each star, this will give you a good idea of placement before you start to stick everything properly. You can easily find real constellation shapes by doing an internet search, there are so many to choose from. I have used a couple of star signs (Gemini and Taurus) and then a few others that I just liked the shape of. You could even make up your own. Once you have marked out your shapes, cut pieces of black thread to run between each star. It can be a little fiddly to do this part so leave yourself plenty of time, especially if you decide to cover a very large area. If you have a few stars pretty much in line, then just run one thread through all of them to make it easier and quicker. Use a mixture of circle dot stickers, silver star stickers and small triangles of black washi to stick down your thread. There is no set pattern to this, it looks great to use a mixture on each constellation. Oh and most importantly, make sure to use stickers that will not damage your wall. 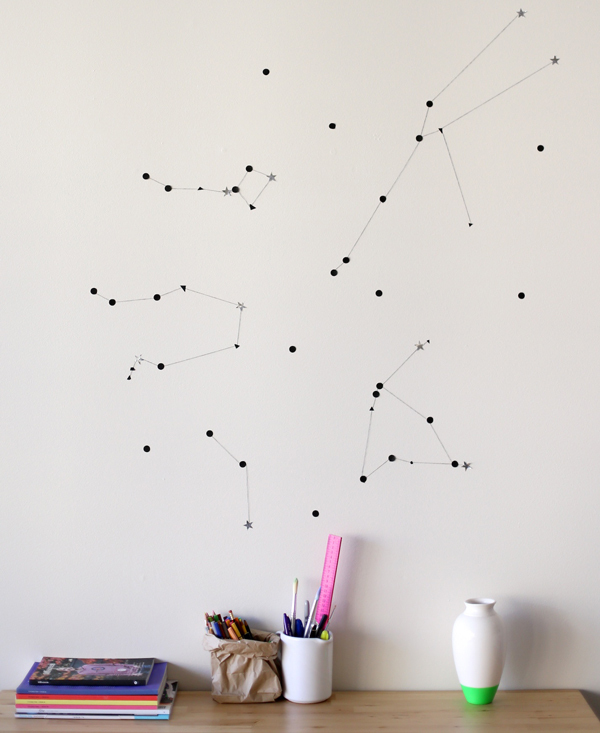 You can also stick a few random stickers/stars in the space around your constellations to bring the pattern together. Really there is no limit to how big and awesome this sticker star wall could become. 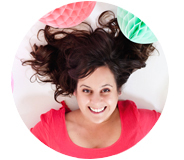 Photography by Claire for A Subtle Revelry, see more of her great ideas at South by North. Hooray, star gazing season is the best! As is your creativity. This is such a unique project. I love this idea so much! One question: how do you know which stickers would or wouldn’t damage the walls? Esto es increíblemente impresionante!! Usted está en verdad bendecidos con el talento y la creatividad. Gracias por compartir!! I was looking for some ideas of what to do with my partly collapsed ceiling finish, and this is just perfect! Thank you so much! I only replaced the shape of stars with triangles to match Sillerup rug from Ikea. Triangles are also much easier to cut by the way. I can share some pictures if you want.